I sent a text to the Potentate the day after his installation and I expressed that I don’t think his year could have started any better than it did with his installation. Ill. Sir Jon’s planning and the hard work of many great Shriners made the day a total success. You can rest assured it is a good omen for things to come in 2018. One thing I’m focusing a great deal of attention on this year is fundraising. 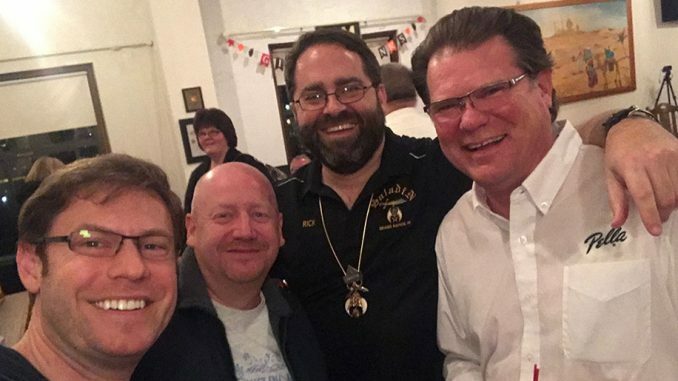 One of the Shrine’s strengths as a Masonic organization has always been its emphasis on being good at fundraising. The more dollars we raise, the more fun we can have and the more we can do to help our patron charity Shriners Hospitals for Children. It is a simple math, but an important one. We can’t escape the inevitable shift in membership in the fraternity and the Shrine, but we can make sure that we don’t get caught up in its negative financial impact. For years we’ve been an organization who has operated on dues and income from the circus. I don’t need to tell you what happens with dues as an income stream when the membership declines. I also don’t need to tell you that circus is not what it used to be. I’m thankful every day for the income we still receive from circus, but I’m increasingly looking to the future and asking myself where our money will come from. The sale of our East Paris property and the change in our operational structure that came with it was the first step in rewriting the Temple’s financial future. We now have the money from the sale invested and can see some of the financial benefits that come from having that nest egg in place. What we need to do next is re-evaluate all of our income and develop new ways to fund our operations. I don’t ever want there to be a time where the best ideas and most meaningful and impactful plans can’t be pursued because we lack the money to do them. In 2018 you will see and hear about our efforts to raise more money through charitable gaming endeavors as well as the evolution of our club room operations. It is going to take effort to turn both of these items into real income for our temple and our philanthropy. Your Divan will call on you to take part in these efforts and I hope that you will. Each and every one of them will be about laying the groundwork for a more prosperous future for our Temple.